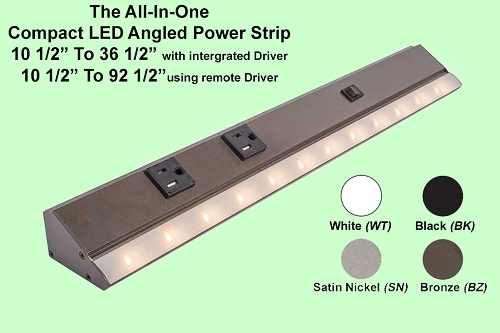 The All-In-One Angled Power Strip with LED Lighting gives you the best of both worlds to provide power and lighting for your project, by combining the Slimline Angled Power Strip (APT) and the Premium Under Cabinet LED light strips (SG9) in one unit. 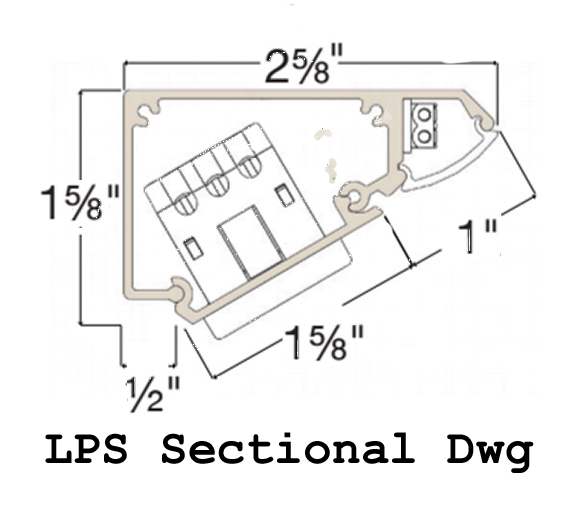 This compact, 1 5/8 inch high x 2 5/8 wide, low profile extruded aluminum fixture comes fully assembled with concealed wire management wireways, integrated or remote dimmable drivers, and hidden poke-home hidden connectors make for an easy installation. 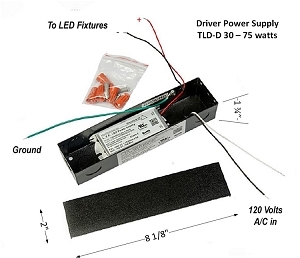 All LED fixtures require a low voltage power source (called Driver) to supply current to the LED’s. Depending on your lighting requirements drivers are integrated into some of the models offered and others without; this is covered in detail below. However, before getting into the all the features and options, a definition of the lighting parameters are given. Today all LED lighting color is rated as either warm white (2700k) or natural (3000k). Where the letter “k” means Kelvin Temperature. The amount of light produced is measured in lumens of which 880 lumens is equivalent to the old style 60-watt incandescent light bulb. 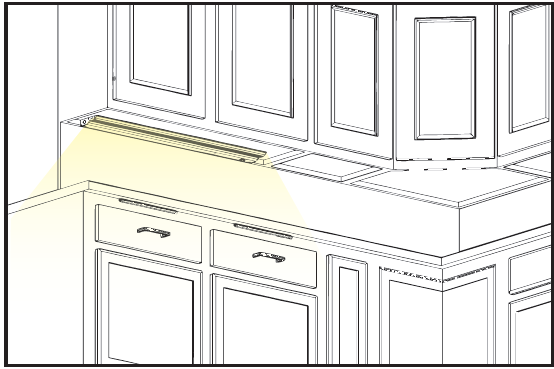 Understanding this concept will help you select the correct wattage of the LED lighting strips. Two wattages are available to select from, being either quarter-watt (414 lumens per foot) or half-watt (540 lumens per foot). There is an approximate 23% difference between the two wattages. Mostly used for a self-contained fixture with a single on/off control of the lights within the strip. These All-In-One Angled Power Strips with LED Lighting contain the Driver and an on/off switch. Wattage is limited to Quarter watt units in sizes ranging from 10 ½” to 36 ½, and Half watt units ranging from 10 ½” to 24 ½”. These are the largest lengths available because of driver physical size limitations. However, there is another solution for sizes up to 96 ½” which are the Flexible Model units. The flexible design models provide the most versatile configuration for the All-in-One Angled Power Strip. The driver(s) are mounted externally, e.g., in the base of a cabinet behind the drawers, etc. The on/off switch is optional because there may be a requirement to control multiple fixtures from one switch. For those design configurations that require additional features, such as adding 3-way switches, 4-way switch, dual rocker switches, USB Chargers, etc. splitting the power strip from the LED lighting is an alternative to the All-in-One fixtures. The TR Series Angled Power Strip and the Premium SG9 Series are available for this type of solution.